The Macbook is dead, but the MacBook Air is here to stay. Apple announced the MacBook Air 2011 release date last week and within its slimline-form lurks, Lion OS X, Intel i5 or i7 processors and the super-speedy Thunderbolt port. 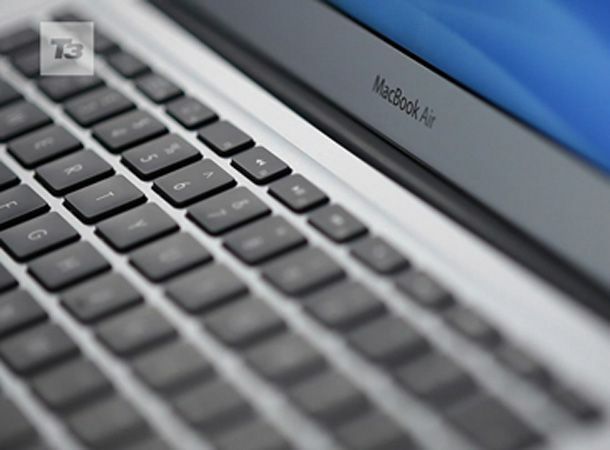 With two 11-inch and two 13-inch models unveiled the new MacBook Air 2011 price starts off at £849 for the 11-inch base model that boasts a 1.6GHz Intel i5 dual-core processor, 2GB of RAM and 64GB of flash storage. Intel HD Graphics 3000 feature across the board on all 11- and 13-inch models. Jumping to the £999 price tag and the 11-inch model switches its RAM and flash storage to 4GB and 128GB offerings respectively. On the 13-inch front the £1,099 base model is to come equipped with a 1.7GHz Intel i5 dual-core processor, 4GB of RAM and 128GB of flash storage whilst the £1,349 priced model touts 256GB of storage. 1.8GHz Intel i7 dual-core processors are available as optional extras on all models. Is it enough to make up for the loss of the MacBook? Here's our MacBook Air 2011 video.